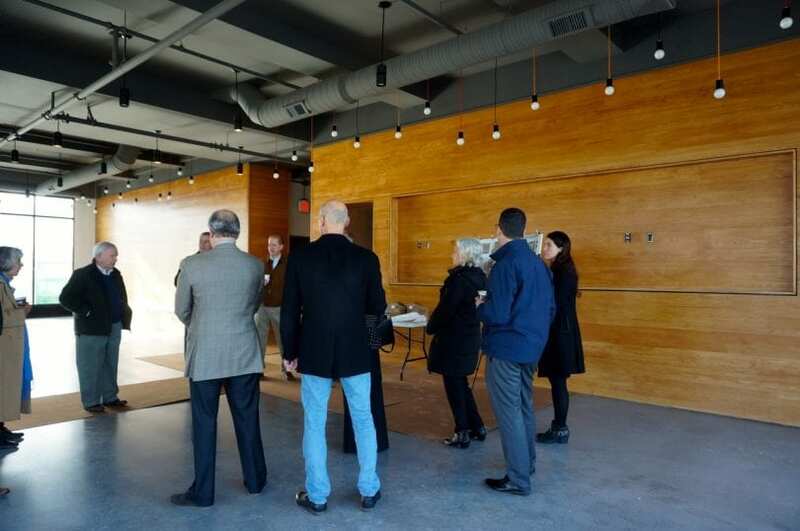 Trout Brook Realty Advisors and the West Hartford Housing Authority provided a peek inside the 616 New Park building on Monday, as the project nears completion. 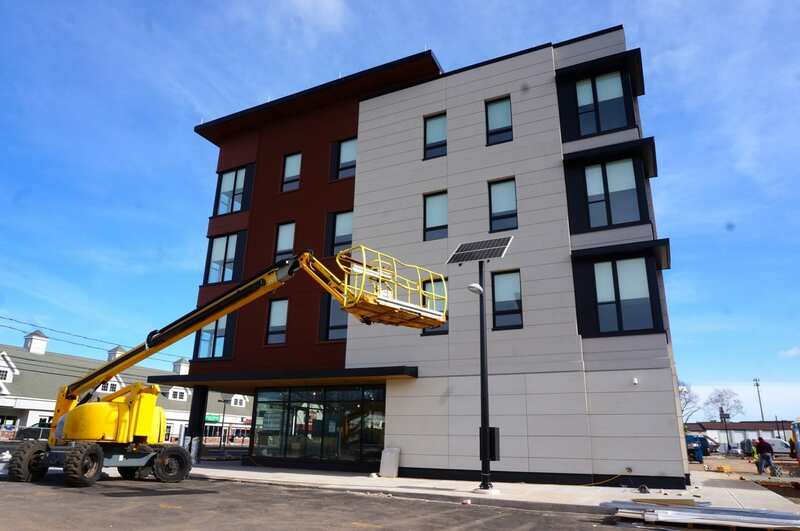 Eighteen months after the groundbreaking, a year after the foundation setting, and several years after the project became more than just a dream but a workable concept, West Hartford’s first mixed-use transit-oriented building is nearly complete. 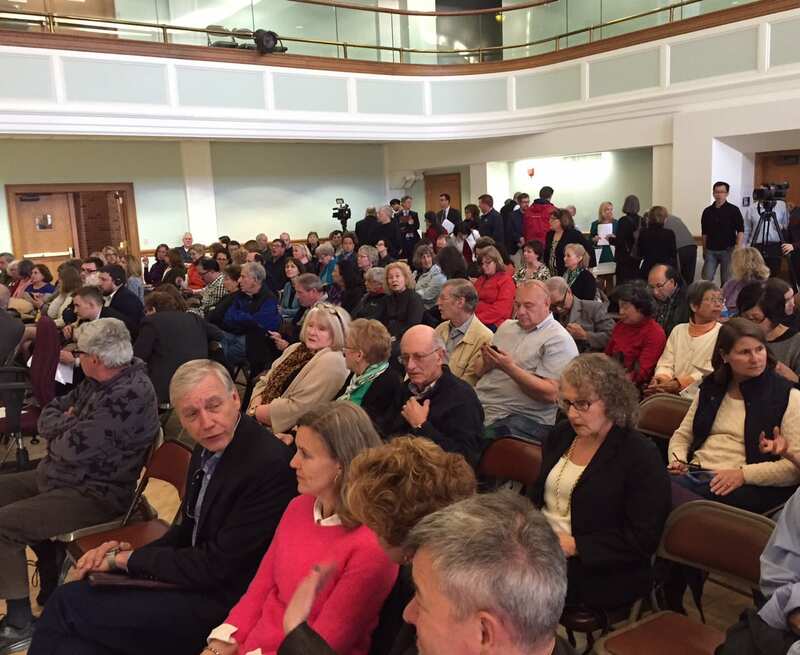 “It looks like we said it would,” West Hartford Housing Authority CEO George Howell said Monday as he and Property Manager Tim Mable presided over a tour of 616 New Park for town officials and civic leaders. The striking building sits just to the north of the Elmwood CTfastrak Station, and has been touted by state officials as an example of how CTfastrak has served as a catalyst for desired transit-oriented development. 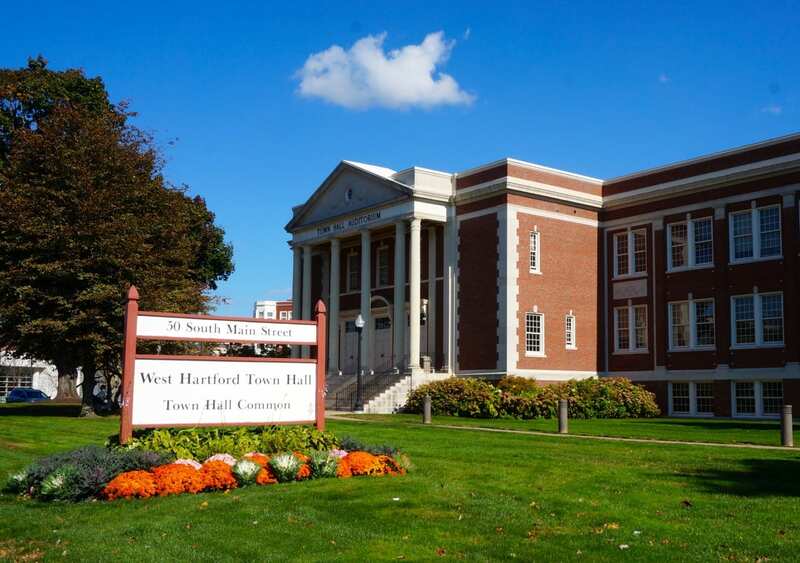 It is also one of the cornerstones of West Hartford’s plans to revitalize and transform the New Park Avenue corridor, and town officials are working with the state and hope to receiving financing for improvements to the overall streetscape and traffic flow. 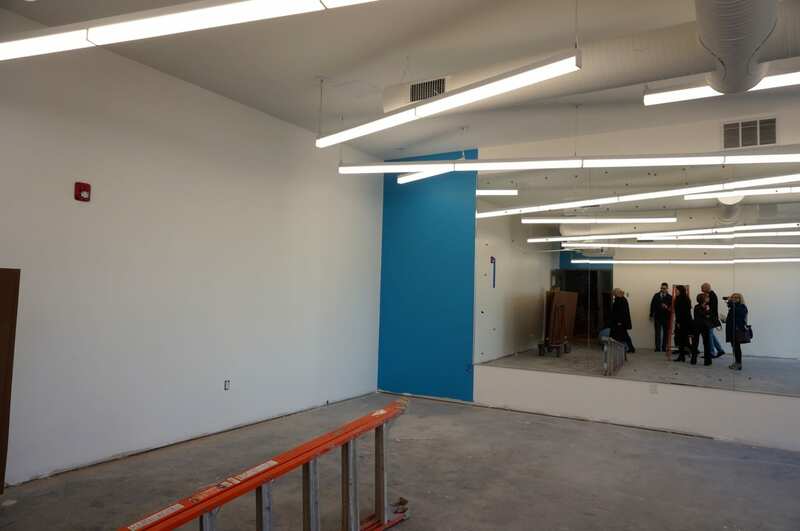 The building has a “quality look and a quality feel,” said Howell. Interior amenities include a fitness center and game rooms. A billiards table, large TV, and seating will grace the expansive lobby where the tour began, and residents can also gather in front of the large gas fireplace. 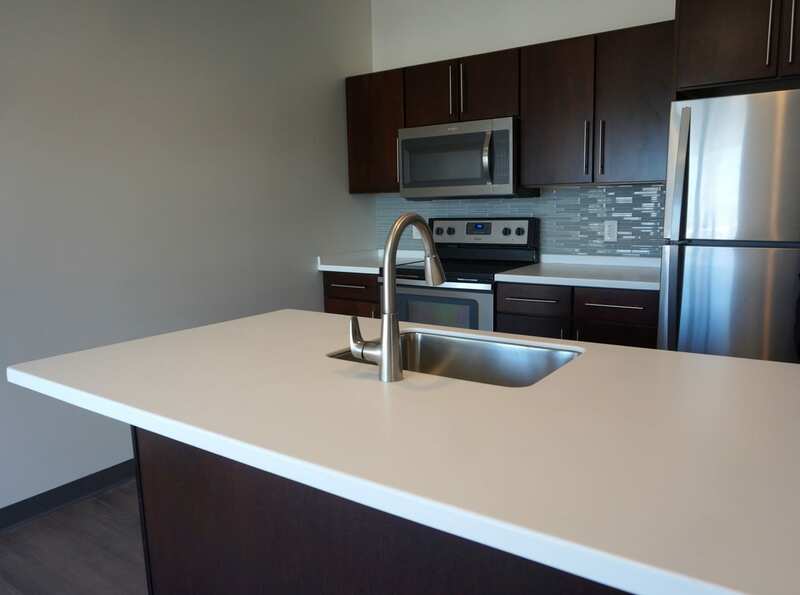 The ground floor also includes a multipurpose room with a kitchenette that residents can use to host events. 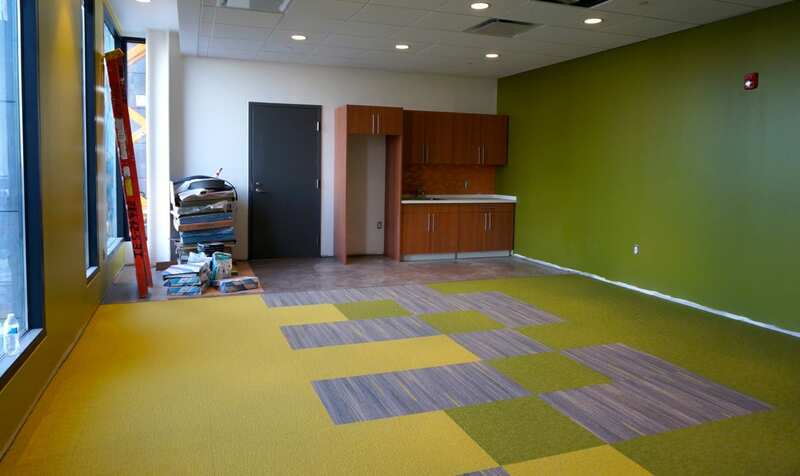 Common areas are highlighted with warm wood tones as well as shades of charcoal, light gray, and lime green. Mable noted that paintings by a local artists will be on display in the lobby, and a murals will grace one wall of the fitness area as well as at the ends of each hallway. The mural will be a nod to transportation, to go along with the transit-oriented development theme of the project. 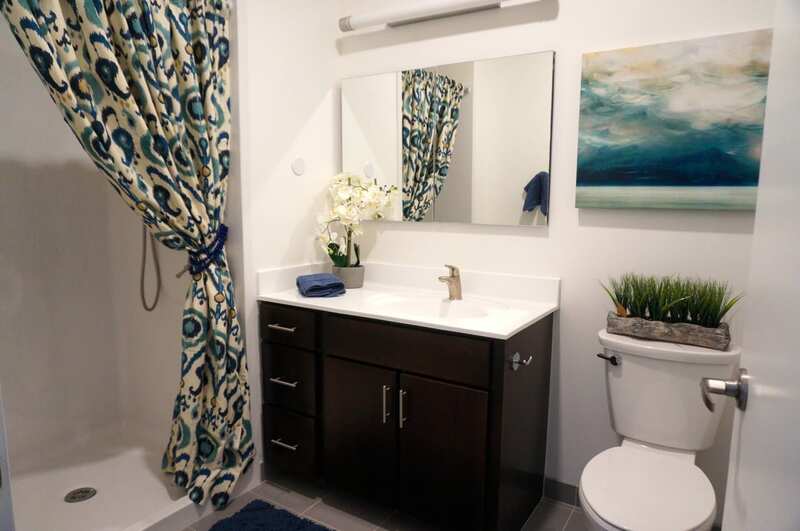 All units include a full-size washer and dryer, stylish gray hardwood-style laminate flooring, and stainless steel appliances. 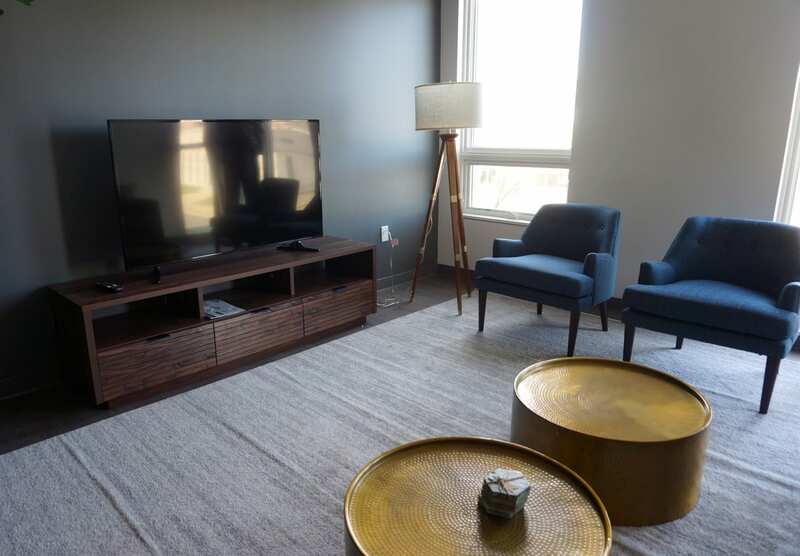 One wall of the living room in each unit is painted with charcoal gray chalkboard paint, which will give residents a chance to express themselves with their own artwork if desired. 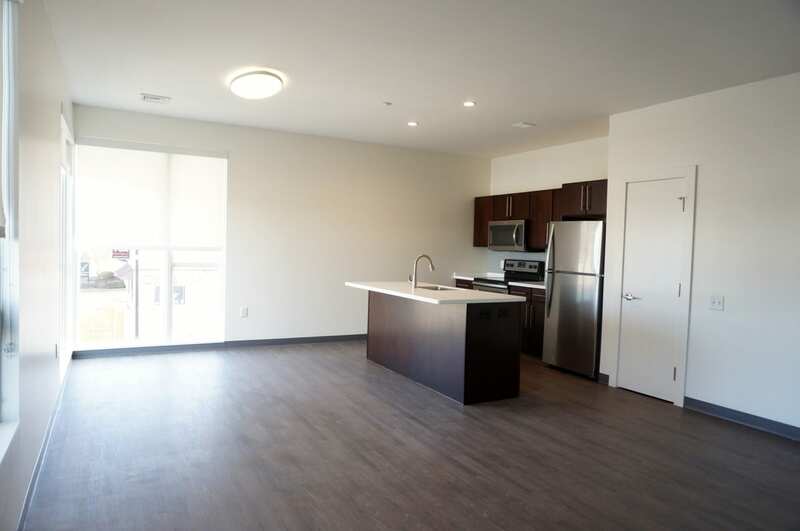 The apartments have high ceilings, large windows, and open floor plan in the kitchen/dining/living room area. “We have not spent money recklessly, but what we have done is build a product that will work tomorrow,” said Howell. 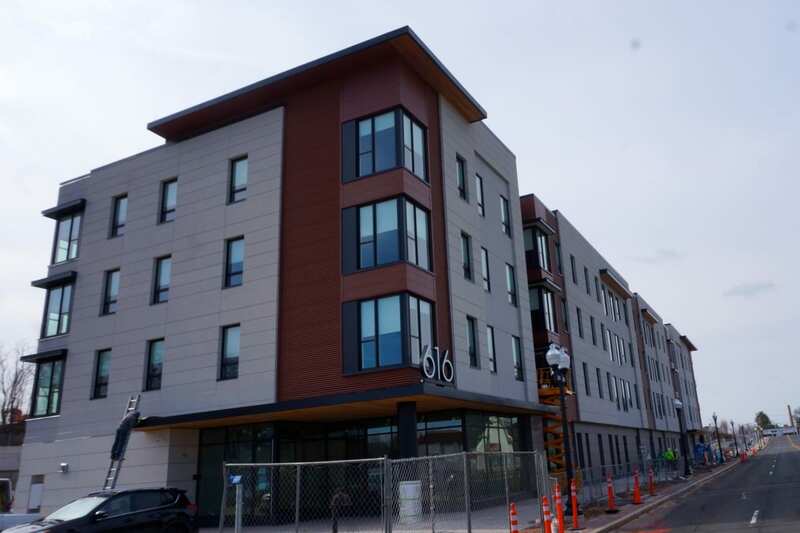 The 616 New Park building includes 54 apartments, a mixture of one- and two-bedroom units ranging in size from 660 square feet for the smallest one-bedroom/one-bath unit to 1,088 square feet for a two-bedroom/1.5-bath unit with a walk-in closet that’s almost another room in itself. 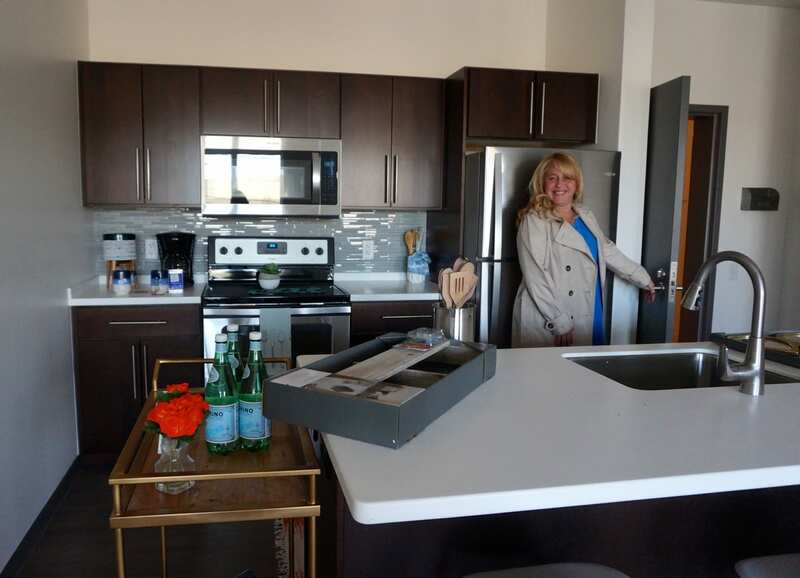 Thirty of the units will be rented to those who qualify for workforce housing (those who earn 60 percent or less of the area median income) and 13 units will be for veterans. 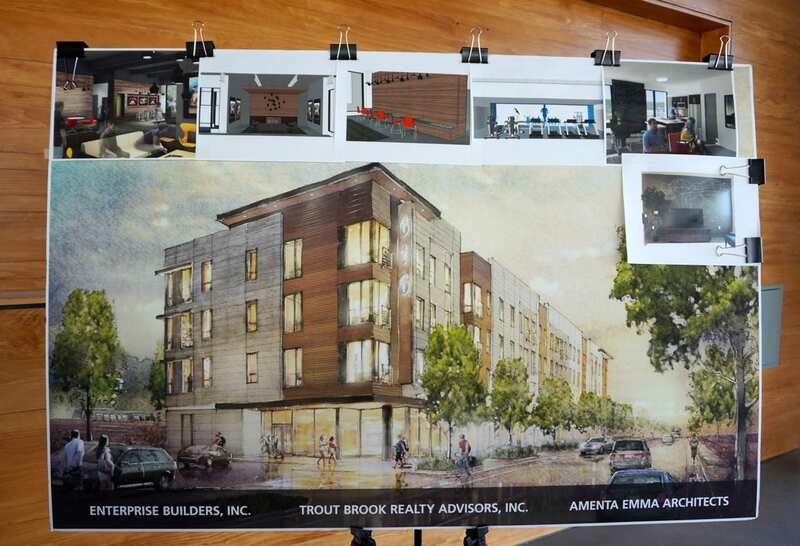 There’s already a wait list for those who qualify for workforce housing, which includes young professionals, and Howell said that the development has received 14 project-based Section 8 vouchers to assist with rental costs. The Veterans Administration will assist in filling the veteran units, and Sen. John Larson’s office announced Tuesday that the West Hartford Housing Authority has just received five VASH vouchers from the Department of Housing and Urban Development, totaling $43,257, to provide rental assistance for homeless veterans. The vouchers also include case management and supportive clinical services. 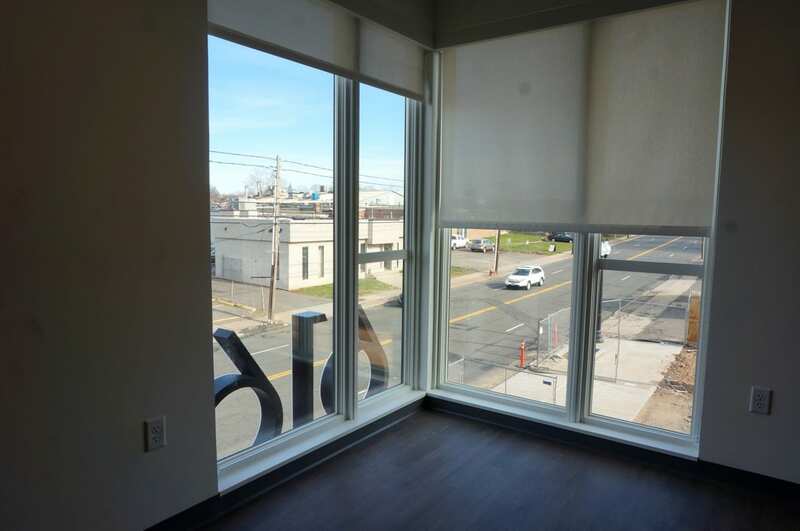 The remaining 11 units – five two-bedroom units and six one-bedroom units – will be rented at market rates ranging from $1,400 to $2,300. 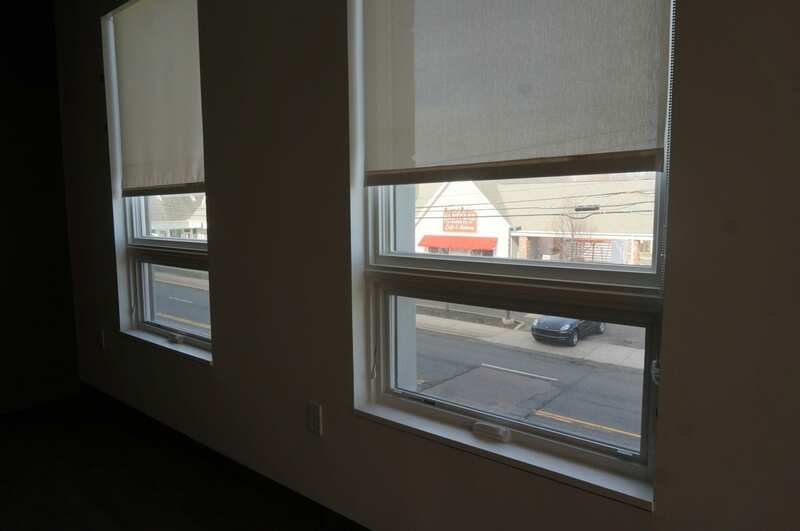 There are a total of 42 one-bedroom units in the building, and the remaining 12 units have two-bedrooms. Each unit has one assigned parking space, and renters are able to lease additional spaces as needed. 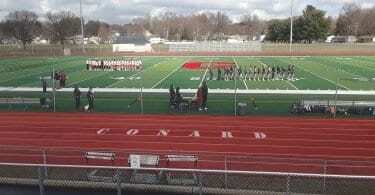 “This is a nearly $25 million project,” Howell said Monday. In addition to the brick and mortar of the building, more than $2 million was spent in clean-up of the site, which was formerly a Pontiac dealership, and 80- to 100-foot pilings and 18 inches of concrete needed to be installed to stabilize the “crumbly” soil so it could support the structure. 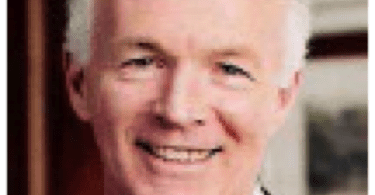 A large share of the construction costs were financed by Connecticut Housing Finance Authority credits and other grants. Mable said that lease applications are being accepted for residency beginning May 1, and a ribbon cutting will be held in June – exactly when Howell said it would happen at the foundation setting last March. All four floors of the building should be able to receive certificates of occupancy at the same time, Mable said. 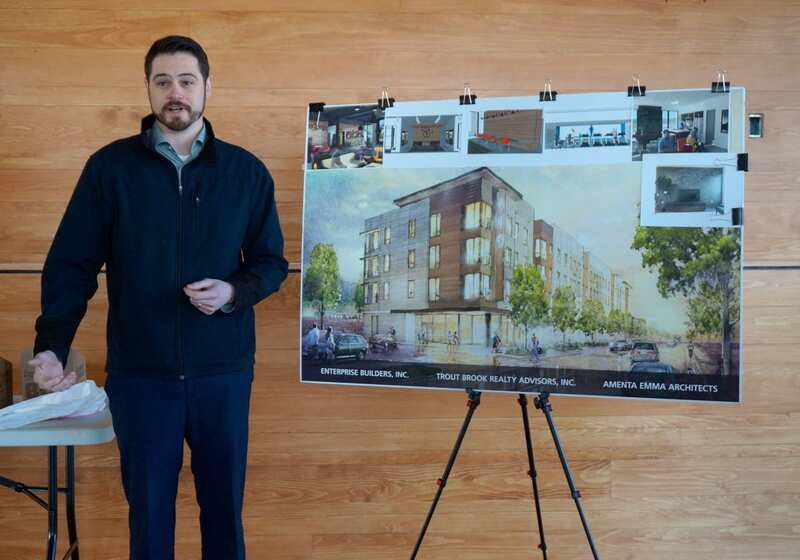 The building will be more than just residential, but rather “mixed-use” once the 3,000 square-foot commercial space on the south side of the ground floor has been leased. Howell said they had been in negotiation with a tenant that did work out, but there is other interest. 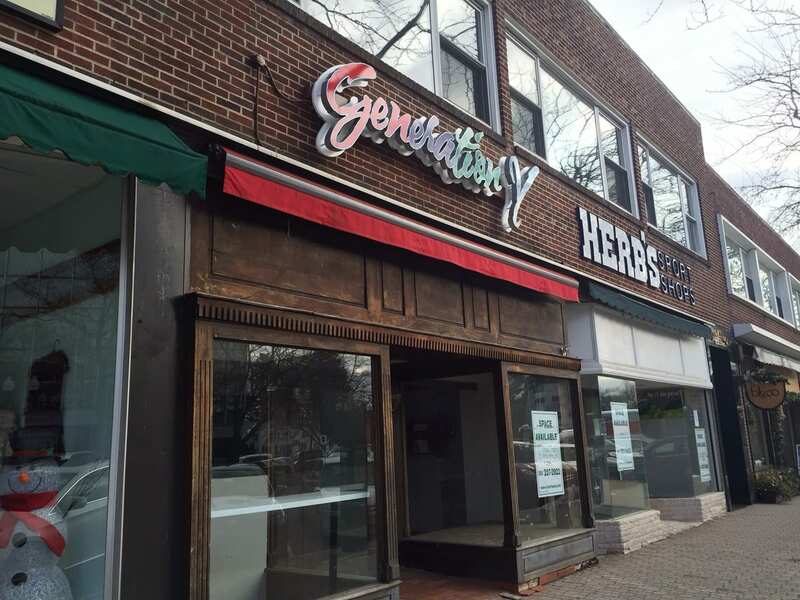 They are open to a variety of types of occupancies, but space will not be a full-service restaurant. 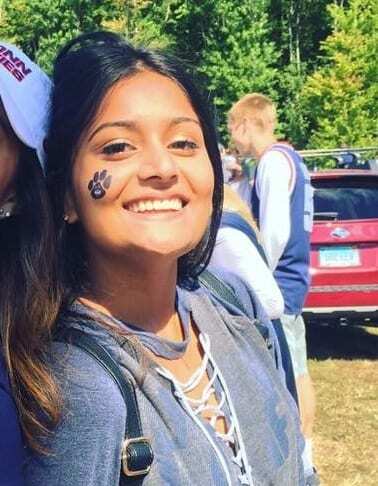 In addition to 616 New Park, the West Hartford Housing Authority also manages The Goodwin at 189 Newington Rd., Elm Grove at 11 Grove St., and Alfred E. Plant at 759 Farmington Ave.